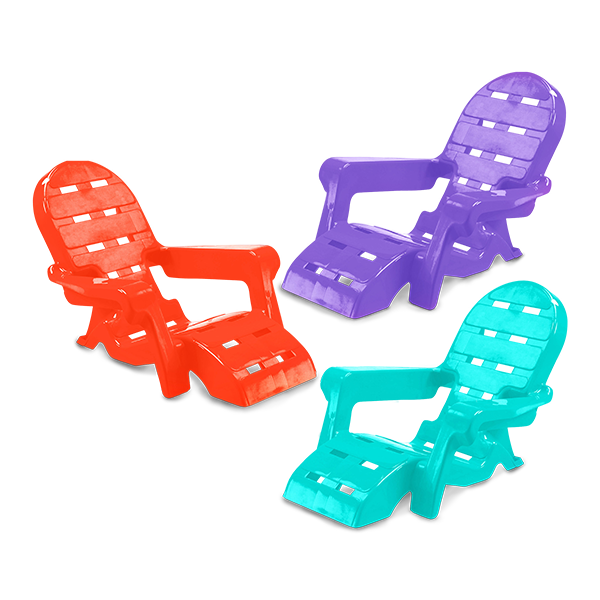 BEACH CHAIR ASSORTMENT | American Plastic Toys Inc. This comfortable and lightweight beach chair is ideal for lounging at home or at the beach. They are stackable for easy storage. Packed in assorted colors.